Take your match day experience to another level. 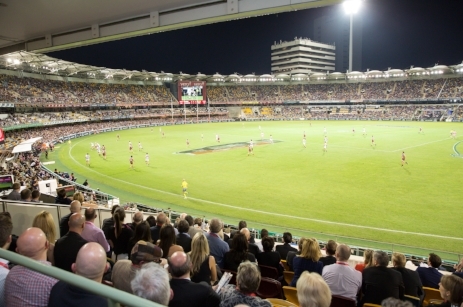 Find yourself in the thick of the action whilst enjoying your own exclusive entertaining area. With a variety of catering packages tailored to suit, our open air boxes are perfect for hosting clients, family or friends. Available in various seating configurations including 8, 10, 12 and 20 guest options. Please note open air boxes are exposed to the elements, with a limited number of undercover options available. 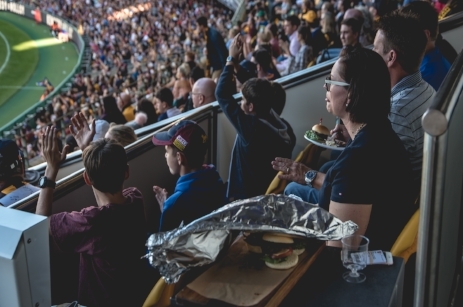 Immerse yourself in the match day atmosphere, with sweeping views of the game from your Southern Wing location where you'll be right amongst the electric environment of the Gabba. 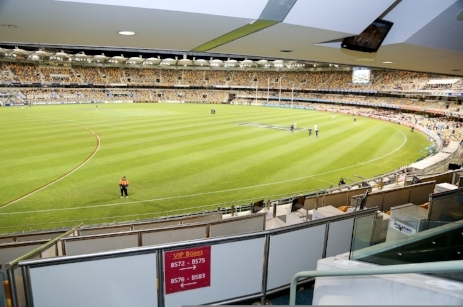 Positioned behind the Western Goals in the comfort of your own open air box, you and your guests will have the perfect view of all the goal kicking action.